Some of the most spectacular sunsets in Michigan can be enjoyed from the pristine Frankfort Beach. Enormous sand dunes, 25 miles of empty freshwater beach, and awe-inspiring views in every direction delight visitors and locals alike. This is beach town living at its finest. 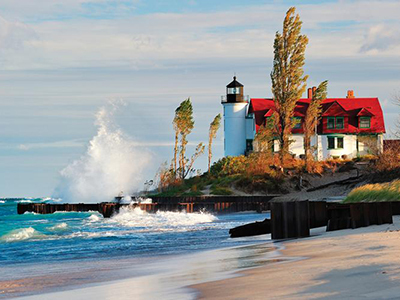 Frankfort is an enticing community of about 1,300 residents nestled on the sandy shores of Lake Michigan. From the historic 1925 Frankfort Light to the new Elizabeth Lane Oliver Center for the Arts, Frankfort is filled with unexpected pleasures and year-round adventures. Lovely Victorian homes dominate picturesque, maple-lined streets. Shoppers find unique items crafted by local artisans in Frankfort's specialty shops and galleries. High quality restaurants and a popular microbrewery offer great dining options. Nearby Sleeping Bear Dunes National Lakeshore was named the most beautiful place in America by Good Morning America. Learn more about life in Frankfort. Paul Oliver Memorial Hospital (POMH) commands impressive views from its quiet hilltop overlooking Lake Michigan. What’s inside this community hospital is even more impressive. 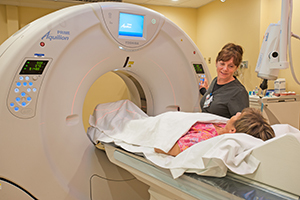 The hospital offers a broad range of diagnostic, emergency, and specialty care services. Care is delivered by dedicated employees who are truly invested in the community’s well-being, within the hospital setting and beyond its walls. Emergency, laboratory, radiology, dialysis, and skilled rehabilitation and long-term care services at POMH are networked with Munson Medical Center, the regional referral center in Traverse City. Paul Oliver Memorial Hospital has been recognized for performance excellence by the National Organization of State Offices of Rural Health and iVantage Health Analytics. Paul Oliver was recognized for excellence in quality and excellence in financial strength.